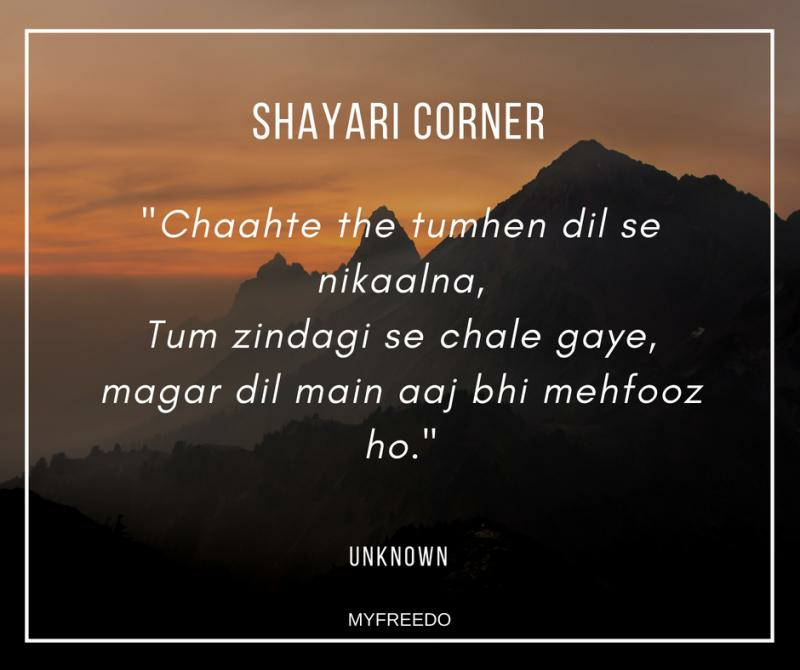 The most beautiful way to express your feelings to the others is through words by binding them into Shayaris. 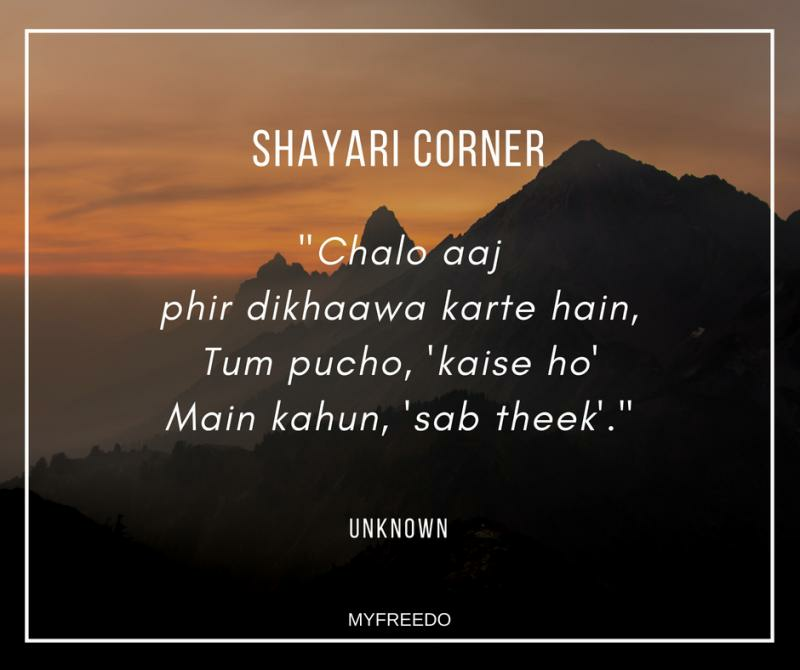 This unique way of expression truly describes the ups and downs of the writer. 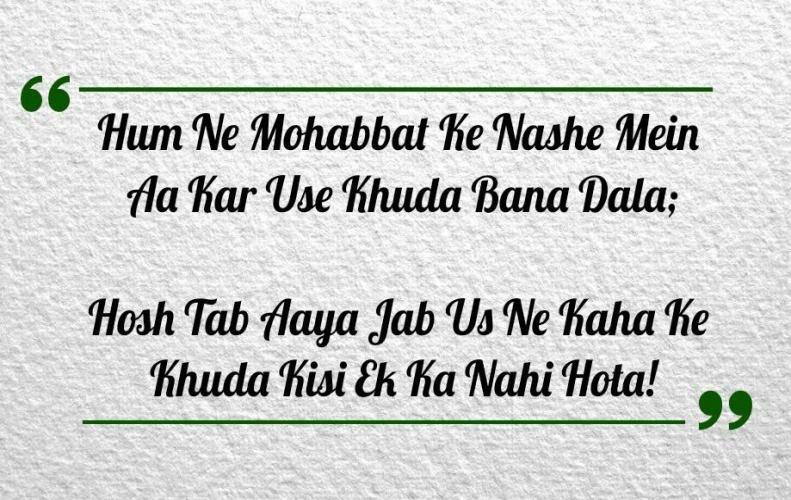 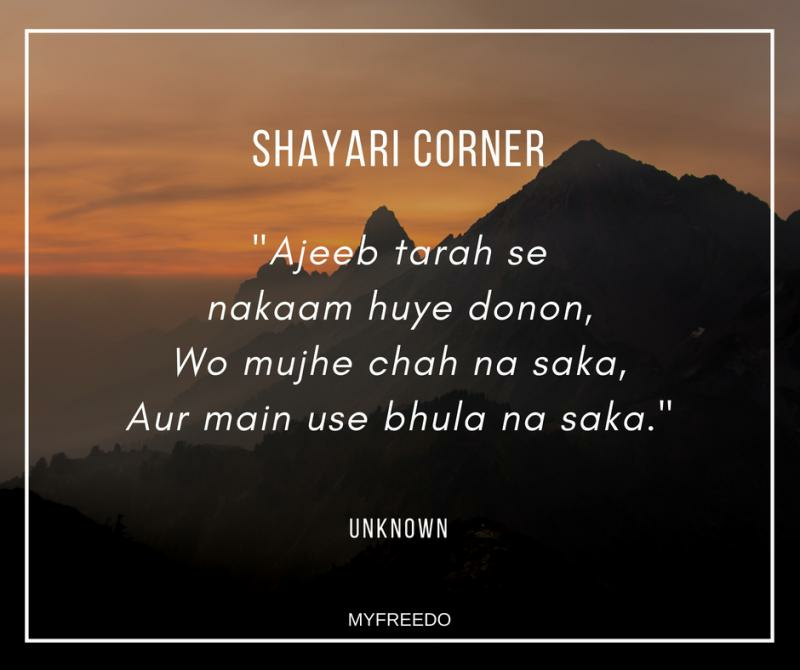 There are many quotes and Shayaris you will find on the internet but some of them are very unique. From them, I have selected the most beautiful Shayaris from some of most amazing writers. 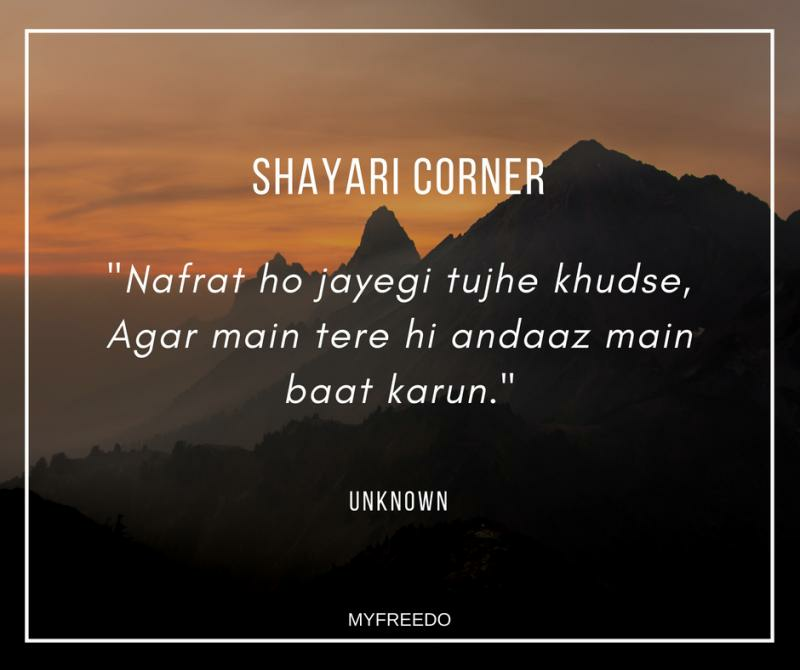 So let's start this spiritual journey of Shayari. 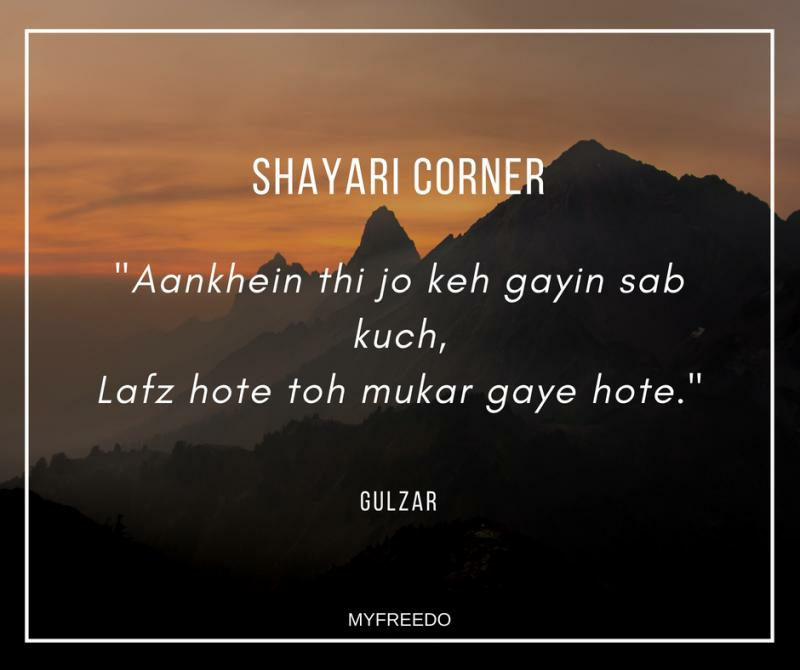 These most beautiful Shayaris are written by some amazing writers truly relates to the inner feelings of a person. 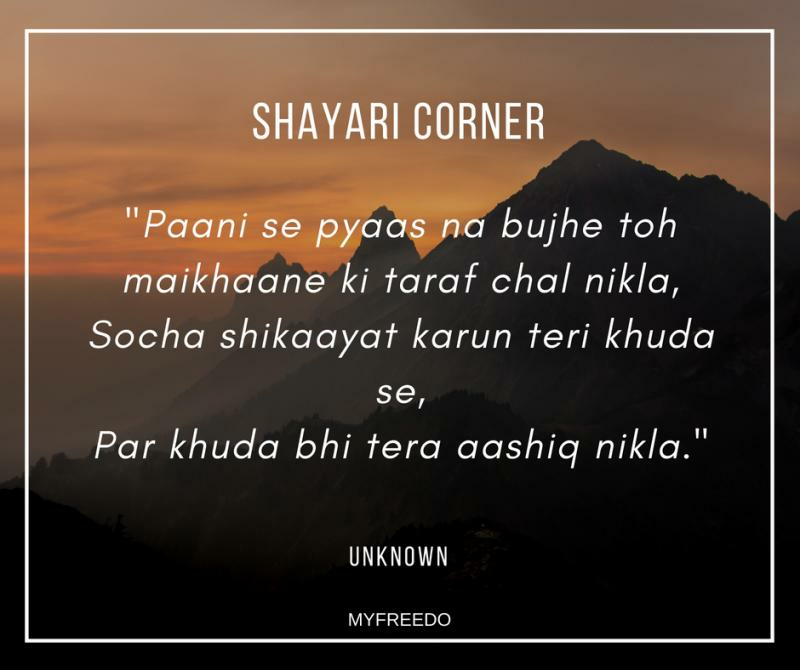 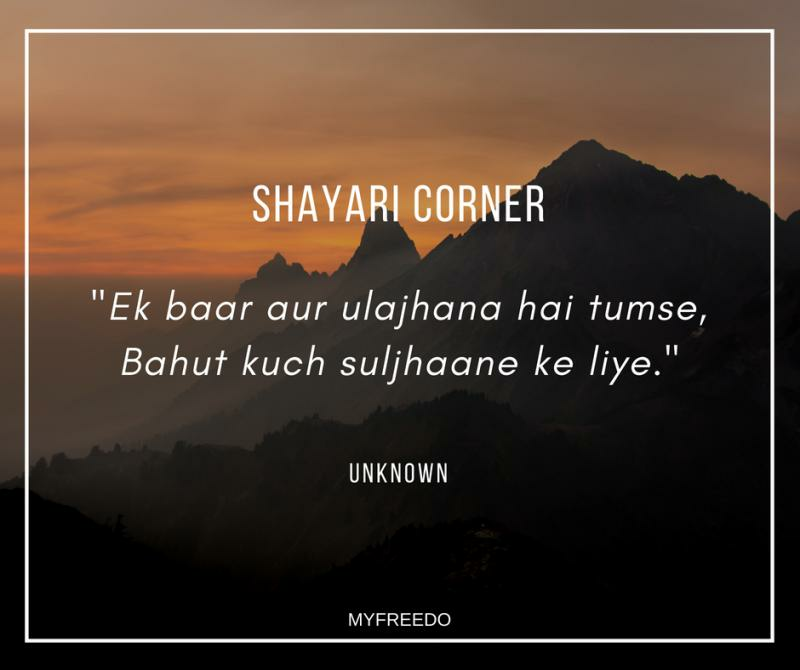 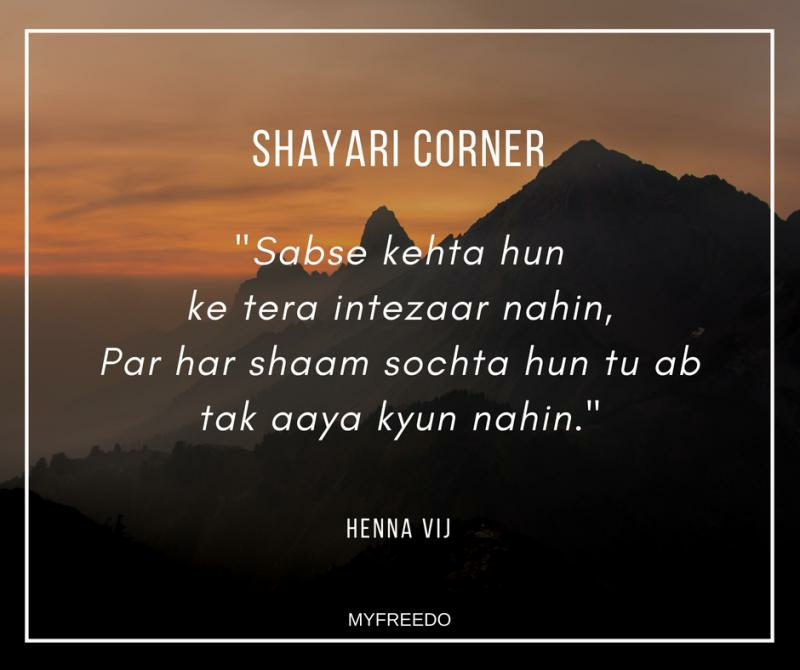 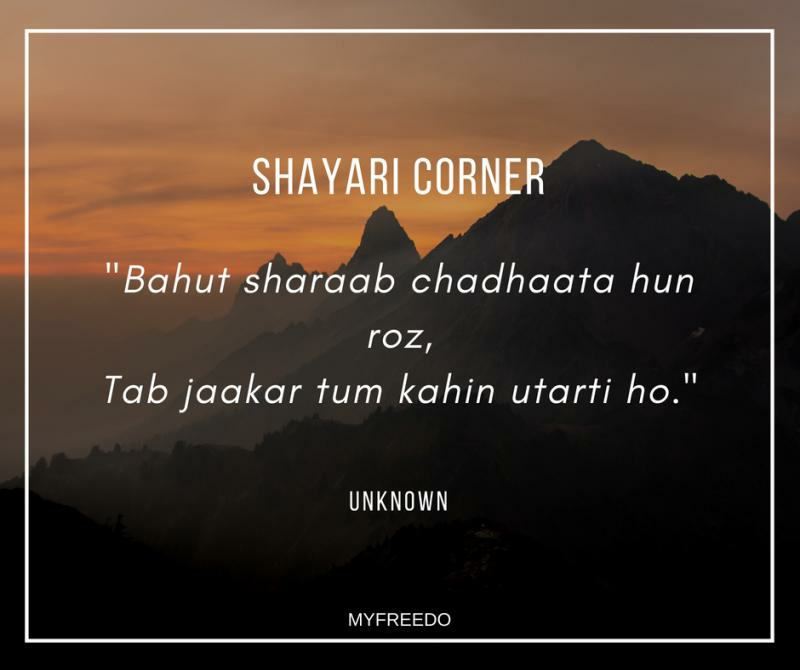 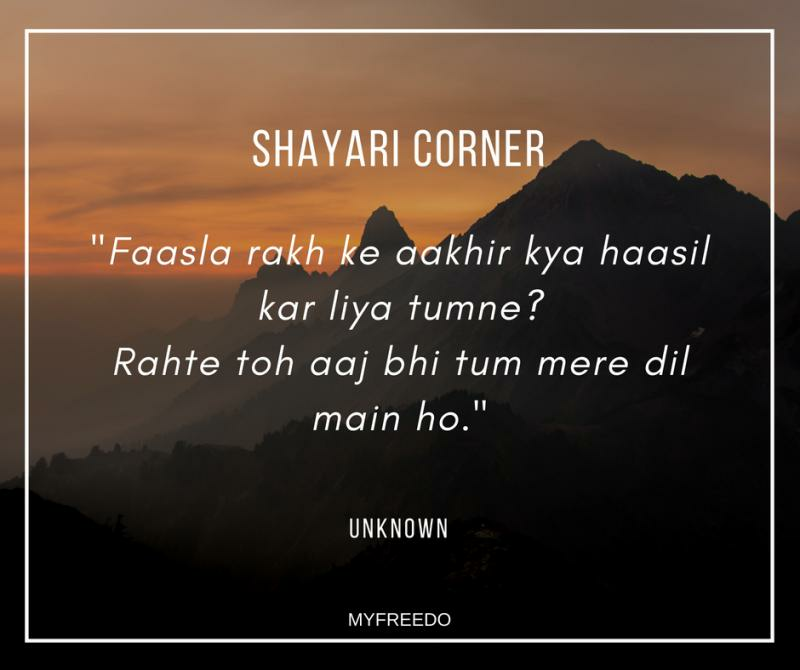 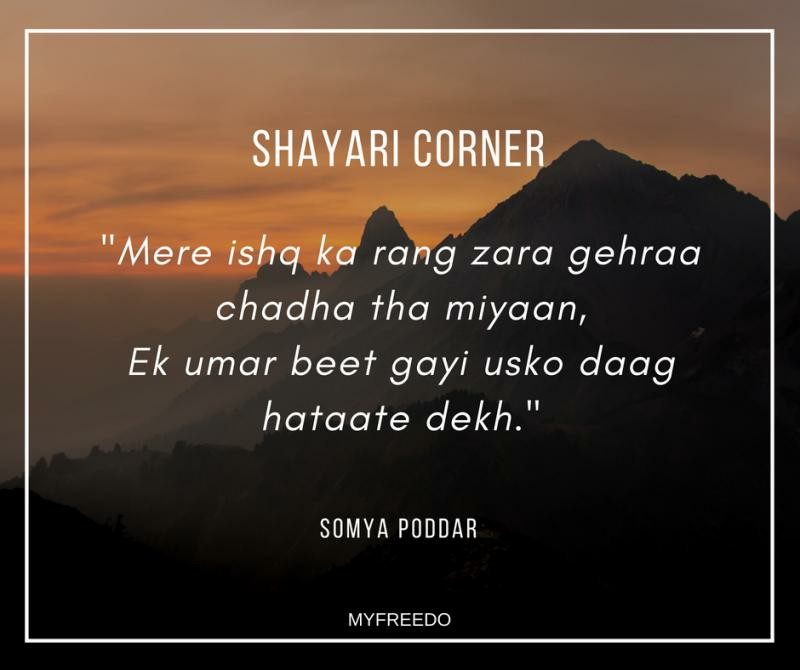 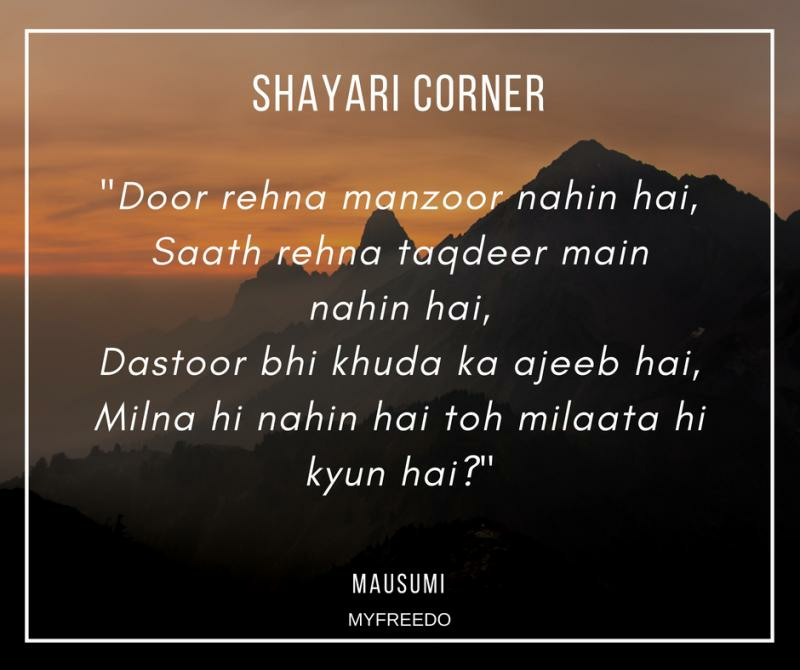 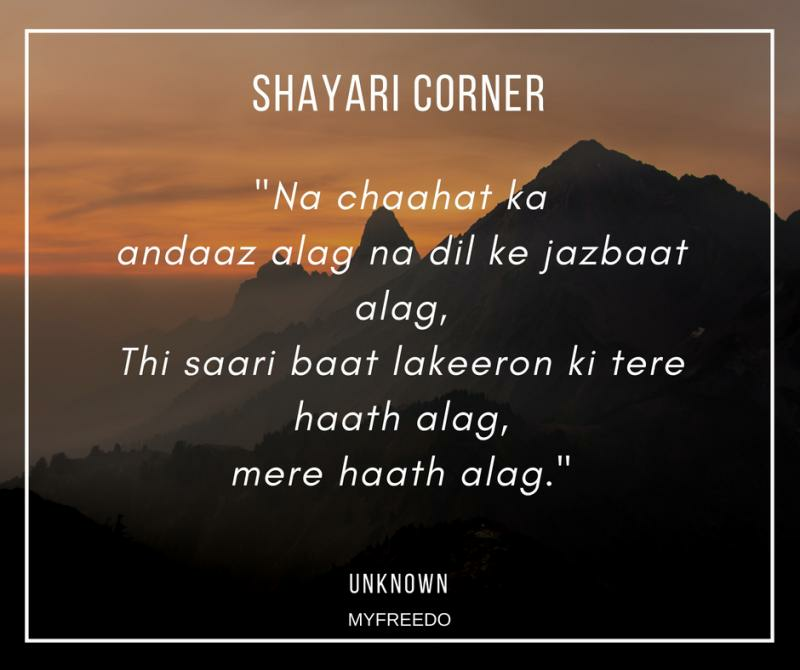 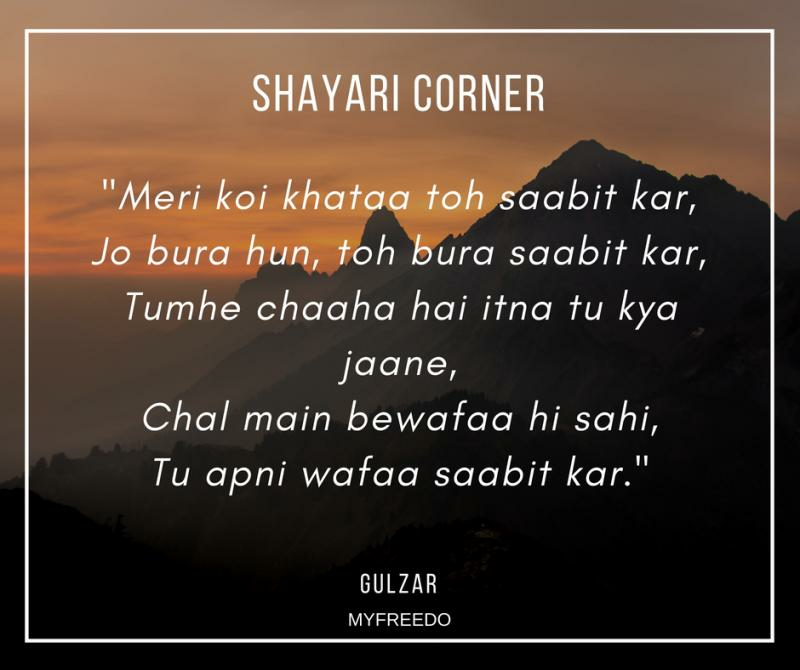 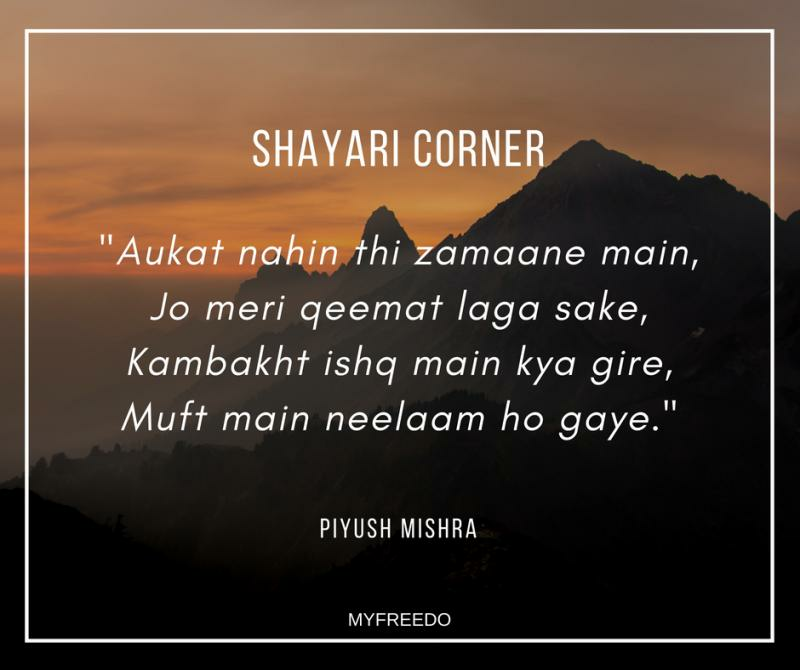 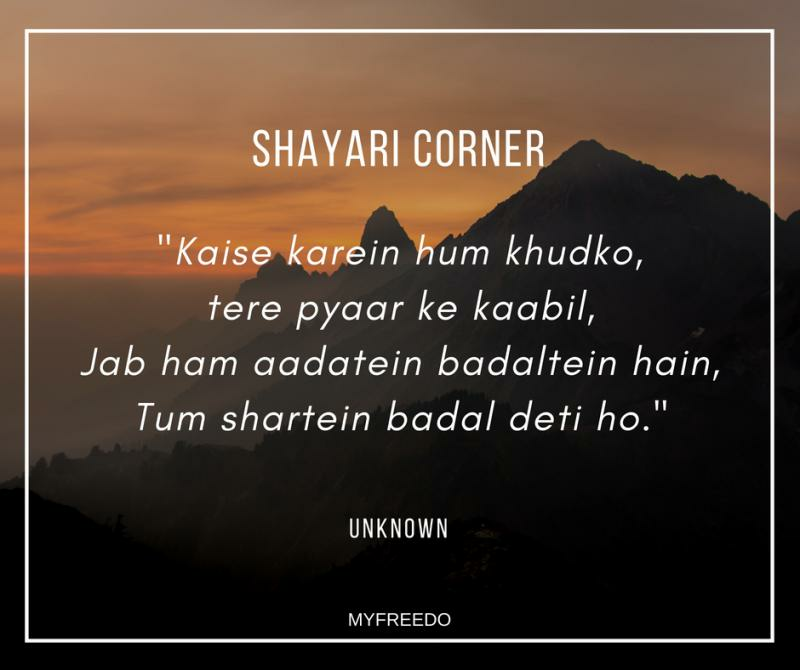 Share with us also which Shayari relate to your life by writing us in the comment section and also share these with your friends.